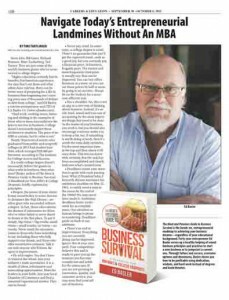 So exciting to see our very own CEO, Ed Basler, featured for his book, “The Meat & Potatoes Guide to Business Survival”. For several decades E.J. Basler Co. has continued to grow to meet customers' needs for precision machined parts through a commitment to quality and exceptional service. E.J. Basler customers utilize our dedicated prototype development center in partnership with our engineering team to drive costs out of components before designs are locked into production.